Instruction: Limit two requests per household, per year. 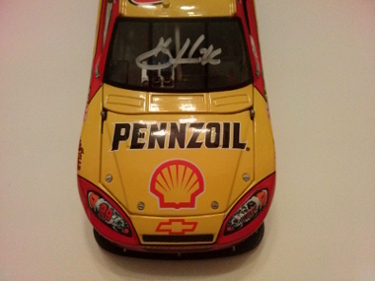 SyxxSynse	 03-07-2015 04-15-2015 Success 39 1/1 Sent diecast windshield. 39 days. Thanks, Mr. Harvick! Thunderfoot	 01-26-2015 04-17-2015 Success 81 2/1 Signed 13 Ignite, 81 days, Thanks Kevin! Coltron57	 06-22-2014 12-23-2014 Success 184 2/2 2 cards. Signed both in black. Riggs	 01-17-2014 03-31-2014 Success 73 2/2 signed 2 8x10's. bcommerce	 01-07-2014 03-31-2014 Success 83 2/2 Sent 2 Cards !! Signed both !! Thunderfoot	 10-08-2013 12-23-2013 Success 76 2/1 Signed 11 Element, 76 Days, thanks Kevin! lizard-jd	 07-18-2013 12-21-2013 Success 156 2/2 Signed 2 CICs - TY! Took a while to get. darrenadams007	 06-17-2013 07-10-2013 Success 23 2/1 Sent a playing card along with a letter and SASE, recieved my card back today signed great success! justinw182	 04-22-2013 07-19-2013 Success 88 2/2 Signed 2 2013 Press Pass cards in 88 Days. 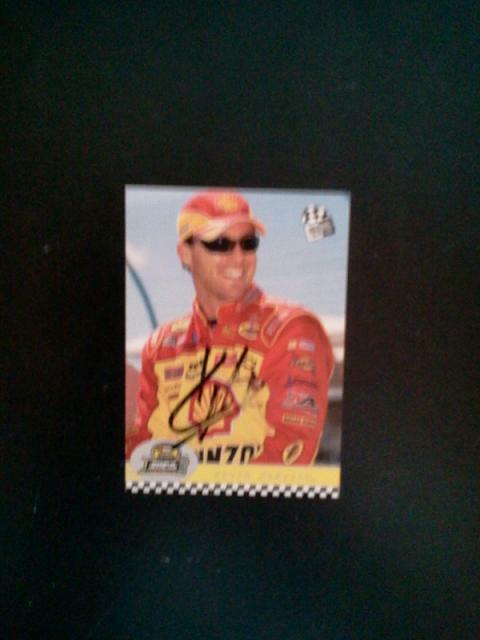 racer48racer	 03-30-2013 04-26-2013 Success 27 0/1 Sent an SASE and got 1 Autographed Hero Card back after 27 days. Pmurdick25	 12-04-2012 11-29-2013 Success 360 2/1 Sent a trading card... Forgot to post this success. got it back a few months ago. packattack1	 08-20-2012 12-17-2012 Success 119 3/3 Amazing success! Pmurdick25	 10-06-2011 11-25-2011 Success 50 2/1 Sent a trading card and pack filler... Signed the card but not the pack filler. Jeremy_Falcons	 04-01-2011 05-14-2011 Success 43 1/1 He signed my card for me. The auto smeared so I may resend. 150010927	 11-24-2014 01-21-2015 Success 58 1/1 Recieved my card back signed from Kevin.. Sweet return. Thank you Kevin. garpike	 09-16-2014 12-24-2014 Success 99 2/2 SIGNED 2 GINTER CARDS!!! primetime27	 01-14-2019 01-15-2019 Failure 1 0/0 Received response they dont ship anything free. NYYanks2018	 05-30-2018 06-07-2018 Success 8 0/5 Four cups and unsigned photo. 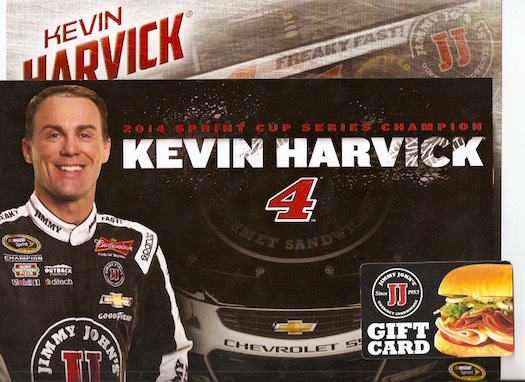 oscarveli	 10-24-2015 10-30-2015 Success 6 0/0 Sent them a request through their feedback page and six days later I received an 8.5x11 unsigned 2014 Sprint Cup Series Champion hero card, a 24x36 Jimmy John's/Freaky Fast banner, two 2014 Champion Kevin Harvick cups, and a $10 Jimmy John’s gift card. 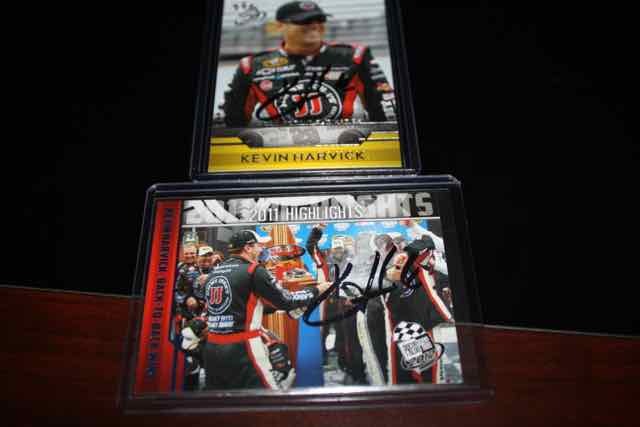 urbanlegenduf1	 07-07-2015 07-09-2015 Success 2 0/0 Rcvd 2 cups, flag, gift card, and unsigned Kevin Harvick hero card Very cool fan pack!! ageraci	 06-23-2015 06-29-2015 Success 6 0/0 two cups, banner,gift card, and postcard- I wish I got an autograph! eaglesrock55	 05-24-2015 05-28-2015 Success 4 0/4 requested fan pack. Got autograph 2 cups and a $10 gift card to jimmy johns!!! garpike	 05-18-2015 05-19-2015 Success 1 0/1 Holy cow!! 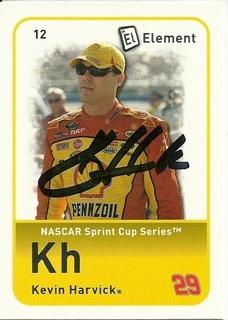 Got a signed hero card, cups and $10 gift card in 1 DAY!!! FREAKY FAST!! 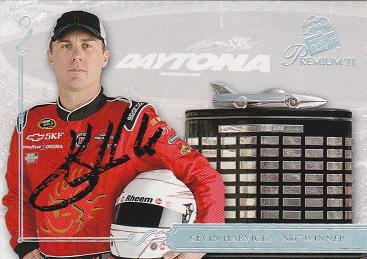 JimCant	 05-05-2015 05-08-2015 Success 3 1/1 Filled out form on website requesting Kevin Harvick autograph. 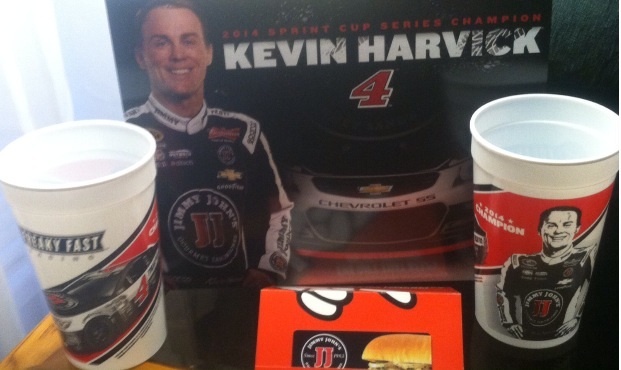 Received signed 8x10 and 2 Jimmy John cups. Did not receive $10 gift card like others. Took 3 days!!!!!!!!!!!!!! 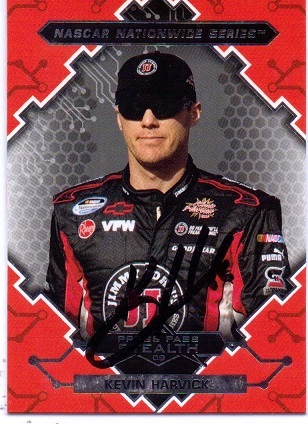 chitownautos	 04-26-2015 04-28-2015 Success 2 0/4 8.5x11 Autographed Hero Card, 2 Cups, $10 Gift Card...2 DAYS! All from an email request!! BayAreaJavy	 04-13-2015 04-25-2015 Success 12 0/1 great fan pack, received 2 plastic cups, $10 gift card to Jimmy Johns, autographed 8x10 promo picture in silver sharpie. 21ccl	 03-30-2015 04-01-2015 Success 2 0/4 Sent a unsigned 8x10 Hero card, two championship cups and a $10 gift card! Thank you "Closer"! 21ccl	 03-29-2015 04-01-2015 Success 3 0/4 A unsigned 8x10, two championship cups and a $10 gift card! Thank you "Closer"! primetime27	 03-22-2015 04-15-2015 Success 24 0/0 Received a unsigned hero card, a cup and gift card. valeri20	 03-09-2018 05-25-2018 Success 77 1/1 Sent 2018 Donruss card. Received back signed in black sharpie. Thanks, Kevin! !